These days online accounts get hacked quite frequently. With all the data we store online, it’s smart to take extra precautions when it comes to security. What would you do if a criminal stole something very personal, and very valuable from you? Nowadays security is more important than ever on the internet, and the majority of security issues on websites are caused by user accounts being compromised. Google Launched a new security system called 2-step verification. it protects your google accounts by the use of mobile phones, the verification system is works in order like it gets 2 Mobile numbers from you the One is primary and other one is secondary for accessing accounts it will send you an email containing some text or Token that helps the google to verify that you are only the owner. 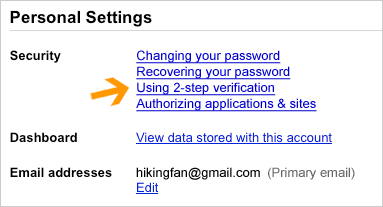 Why should You enable 2-step verification ? As computer systems and particularly internet expand their role in our daily lives, security in computer systems becomes more important. 2-step verification helps protect a user’s account from unauthorized access should someone manage to obtain their password. Even if a password is cracked, guessed, or otherwise stolen, an attacker can’t sign in without access to the user’s verification codes, which only the user can obtain via their own mobile phone.